Pipette Controller. CappTempo Motorized Pipette Controller. 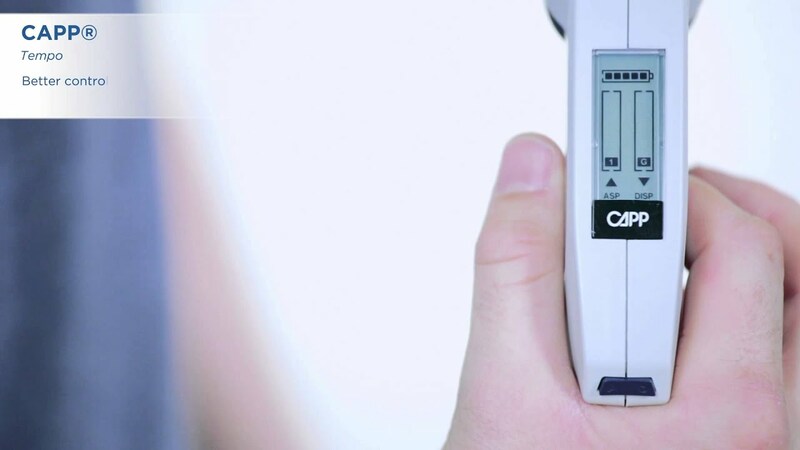 CappTempo motorized pipette controller enables you to aspirate the required volume in a fast and precise way thanks to the unique, patented Electronic Brake System (EBS). When activated, the EBS allows you to start filling the pipette at the maximum speed and once you come closer to the desired volume, the system will switch to the minimum speed just by one single click, allowing you to aspirate exactly the volume required. Try CappTempo electronic pipette controller and experience pipetting at the maximum speed without compromising on accuracy. CappTempo pipette controller has a LED display, showing the aspiration and dispensing speed as well as the remaining battery life status. When the power is low, the display will flash. It turns off automatically after 20 seconds of non use to conserve the battery. 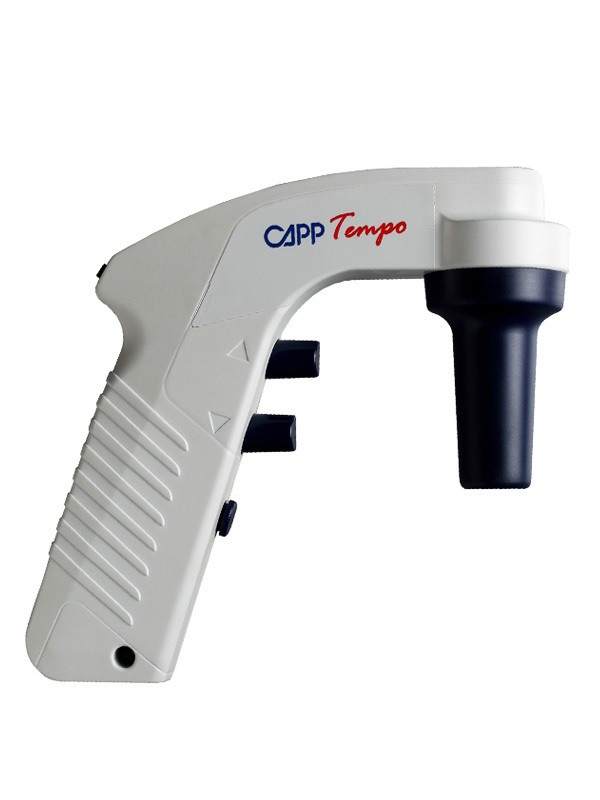 Capp pipette controller is equipped with a Lithium battery, which fully loaded provides you 8 hours of continuous work. CappTempo motorized pipette controller features stylish Danish design and is available in 4 color choices. The pipette holder of Capp electronic pipette controller is autoclavable and the pipette controller can be used while on charging. Additionally, you can order a charging stand. Capp electronic pipette controller fills a 25mL serological pipette in 5 seconds (at speed level six). Powerful motor fills 25mL in 5 seconds (at speed level six). Six different speed settings for both aspiration and dispensing.